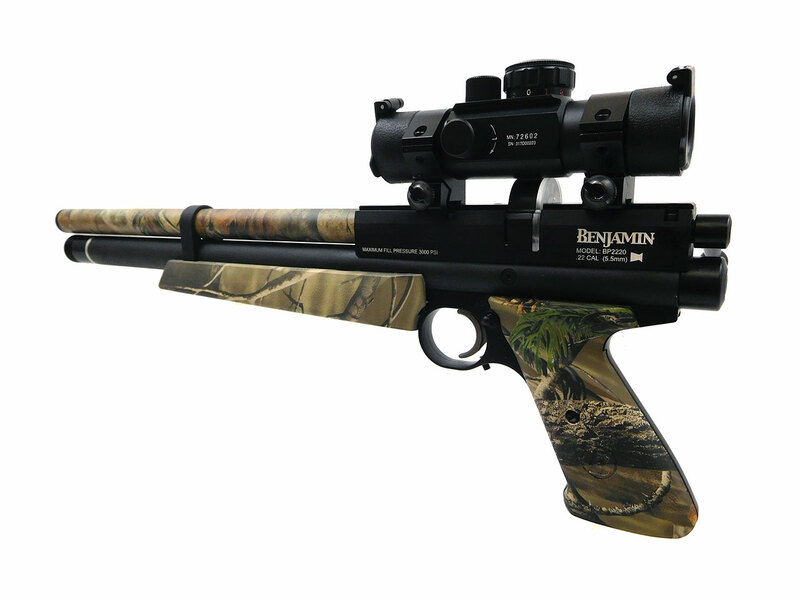 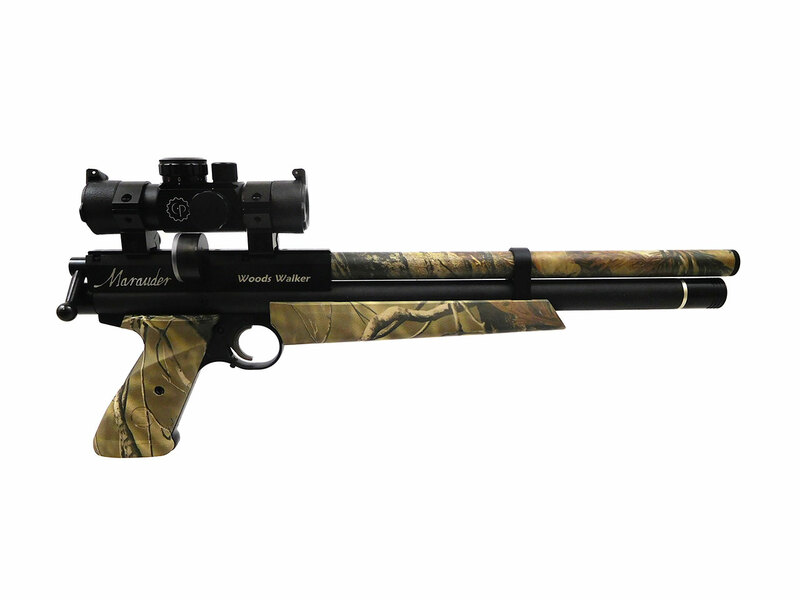 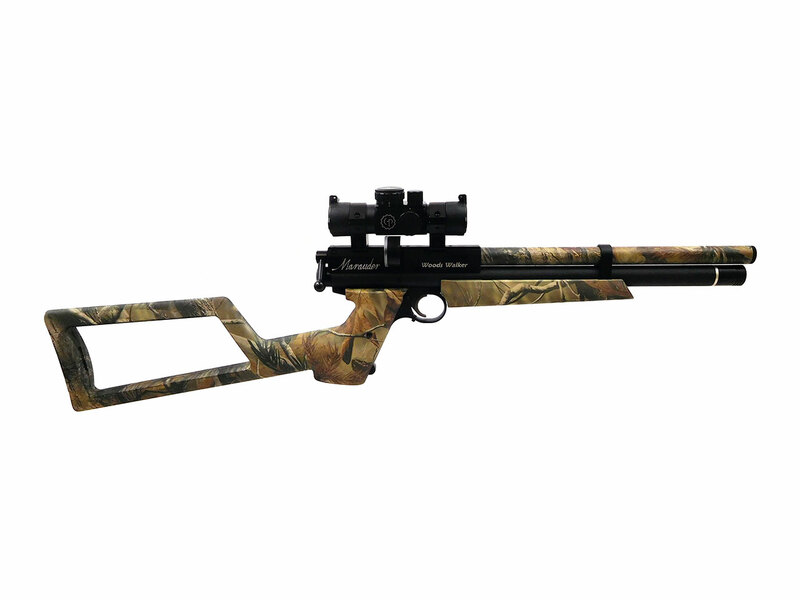 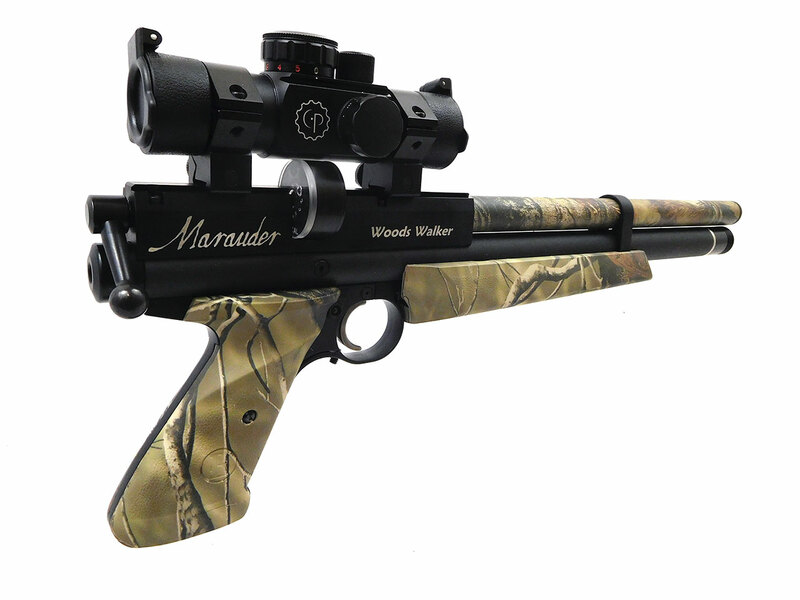 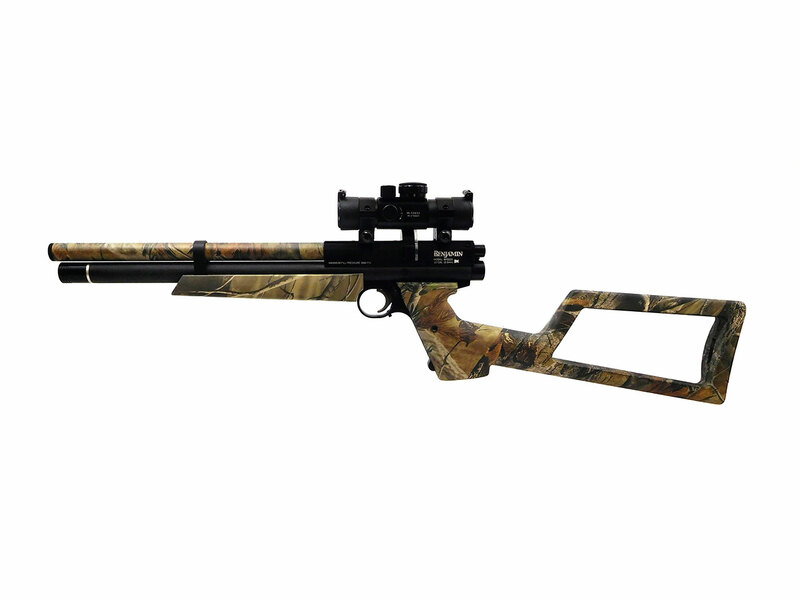 The Benjamin Marauder Woods Walker is a .22 caliber, bolt action, PCP, repeater with 8-shot auto-indexing clip and 2-stage heat-treated adjustable match trigger. 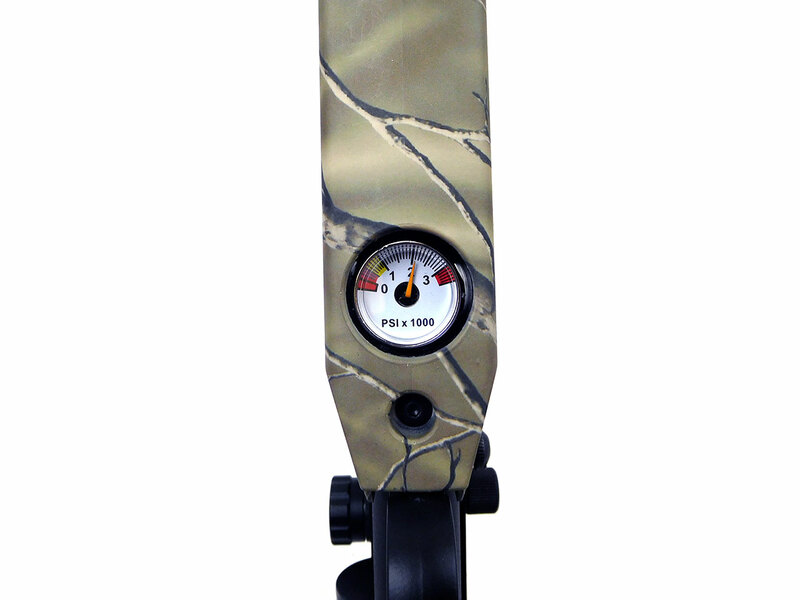 The Realtree® AP camo grips, stock (removable), barrel wrap and forearm make it ideal for hunting small game in the woods. 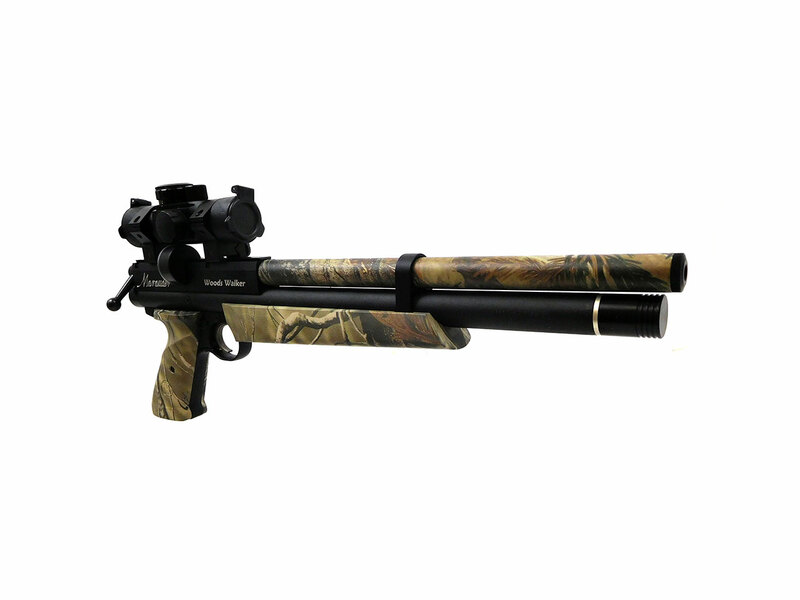 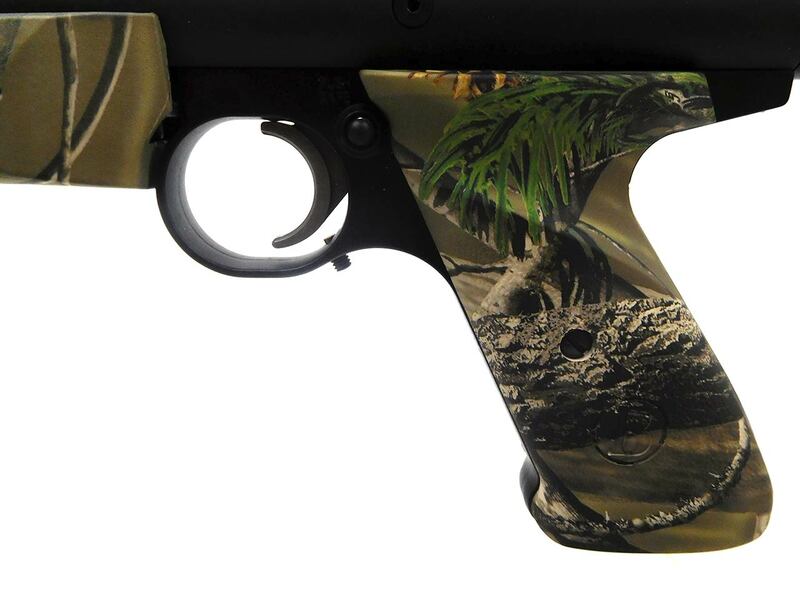 The integral shroud also makes this a very quiet PCP air pistol, while the 12″ chocked barrel delivers excellent accuracy. 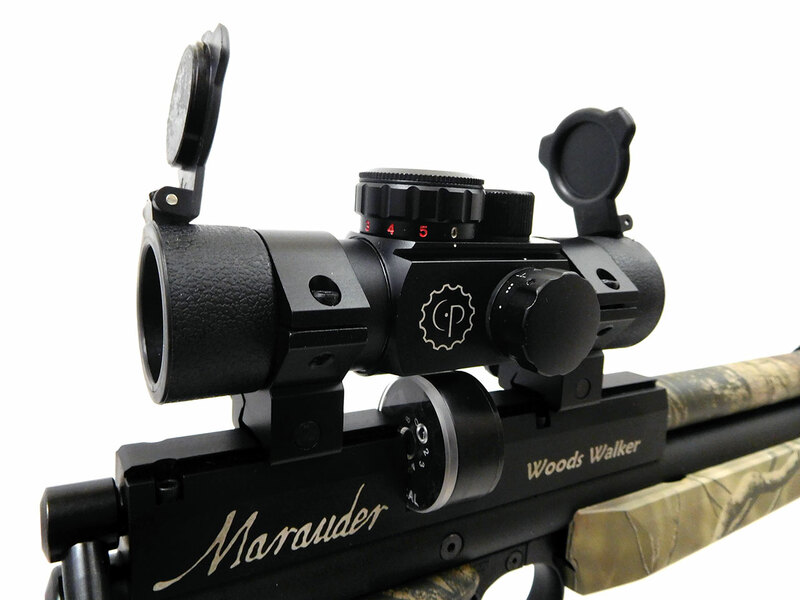 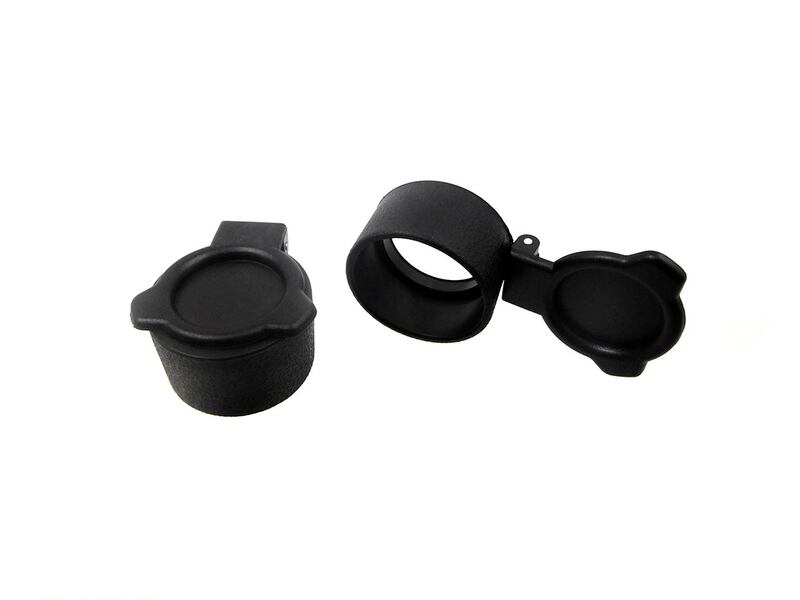 You can expect velocities of up to 700 fps when using lead pellets, or 800 fps with alloy pellets. 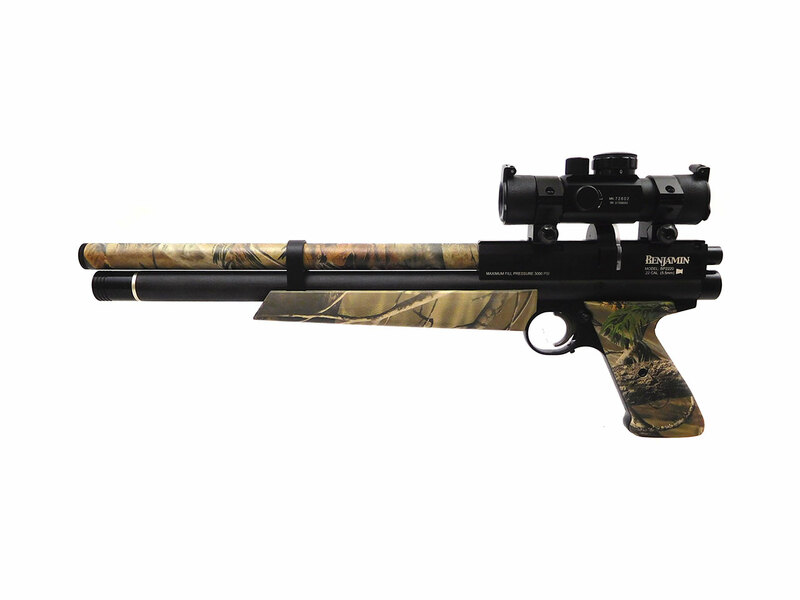 Optics include 11mm dovetail scope rails.